Mr. Prowse has over 30 years of legal experience. He received his Law Degree from Harvard University, a Master’s Degree from Columbia University, and a Bachelor’s Degree from Yale University. He is a sole practitioner, focusing on dispute resolution of all types. His office is in Carlsbad, California. He has served as a Mediator, Judge Pro-Tem, and Arbitrator, and he is a Certified Family Law Specialist, designated by the State Bar of California Board of Legal Specialization. He is also a member of the North County Bar Association. 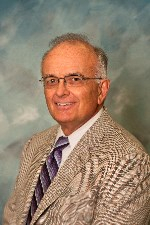 He has been a member of the Carlsbad Hi Noon Rotary Club since 1998, serving as International Service Chair since 2011. He also belongs to the Carlsbad Chamber of Commerce, and for several years served as a Director of Big Brothers of San Diego. Among other affiliations in the community, he participates in the San Diego Volunteer Lawyer Program, representing clients who cannot afford legal services. He is licensed to practice law in California, Georgia, Maryland, and the District of Columbia. Mr. Prowse is a native of New England, born just outside Boston, Massachusetts. He has lived in Carlsbad since 1985 and has been married to his wife Joy since 1987.